Annie Londonberry biked around the world in 1894-5. 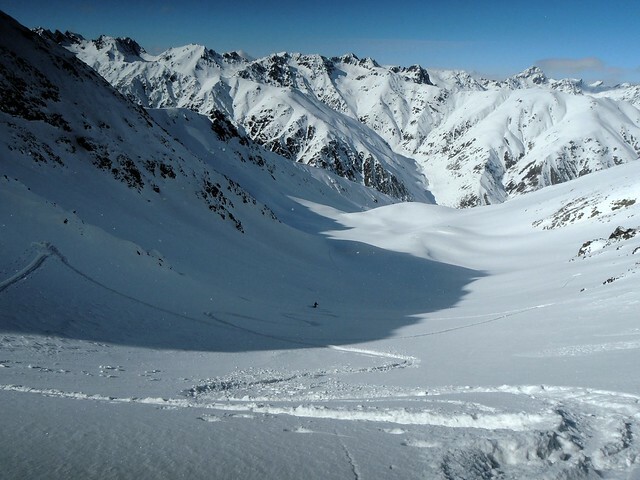 Last year Peter, Amy, Scott, and Stephanie flew straight from Anchorage to Erzurum to ski the Kaçkars. This year Megan flew into Erzurum from Los Angeles, and like last year we went by dolmuş up to Olgunlar and stayed at Osman and Fatma’s uninsulated pansiyon for about a week. Their hospitality and Fatma’s cooking were, once again, absolutely fabulous. Of course, Fatma and Osman don’t really ski. 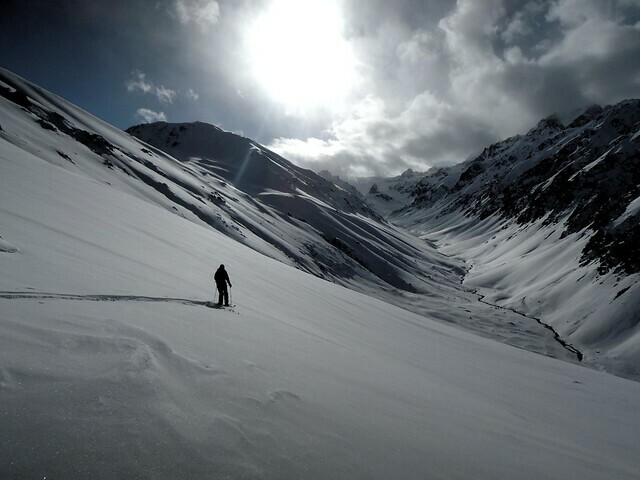 Osman, however, does have a pair of skis but noted how difficult it was to go uphill. At the end of the week, Megan gave Osman the skins that she had used all week so maybe by now he’s making turns from the high ridges above his house. That I doubt, but back in the day Osman made many trips up to the Kaçkar Summit via Nastaf Yaylası and Dilberdüzü. I wouldn’t be surprised to hear that he’s skied up to the yayla by now. 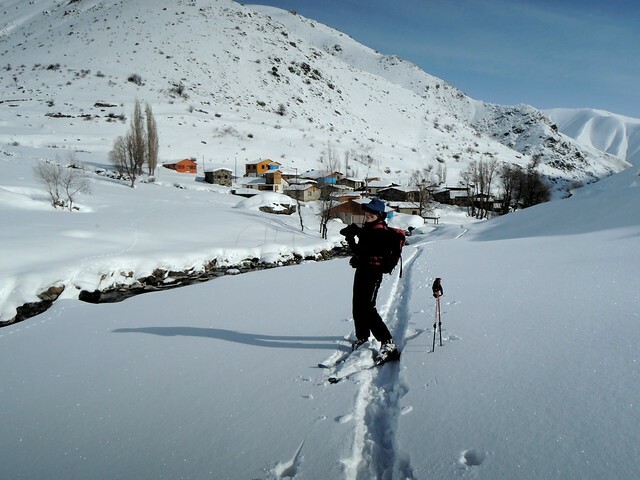 Megan and I skied up to Dilberdüzü one day, a place I hadn’t seen in the winter before. 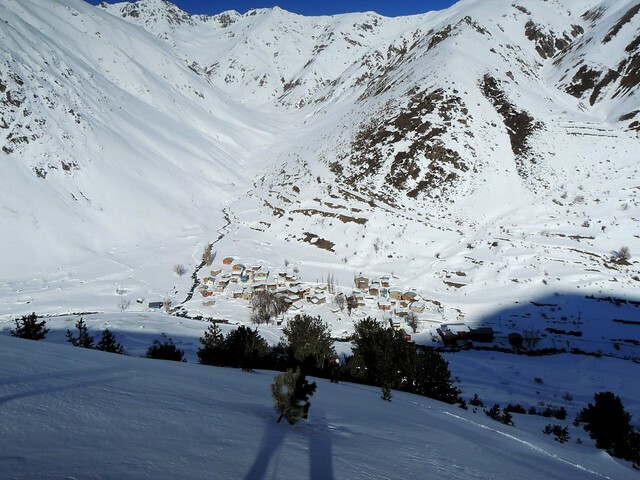 Our best day skiing was when we skied up to Kanucar Pass, directly up SSE of Olgunlar, 1000m above the village. 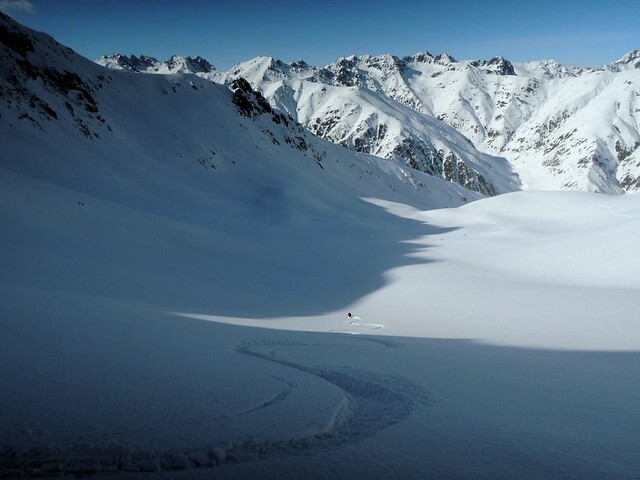 We started up this valley last year but then went high on the ridge and ended up crossing over and skiing down the next valley to the west. This time Megan and I continued straight up through the narrow part and then made huge switchbacks through a wide bowl before the last slightly steeper section to the pass. We enjoyed the views and then started the long run to the valley bottom. 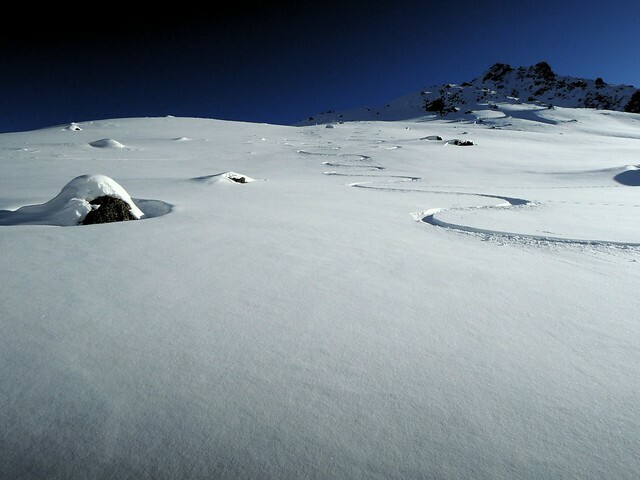 The first 500m vertical were stellar snow. 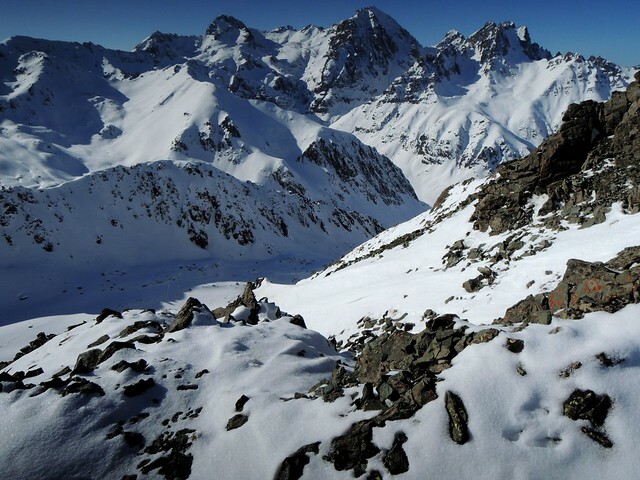 The weather this winter in Kaçkars was warmer and drier than usual, making the skiing pretty lousy toward the valley bottom. 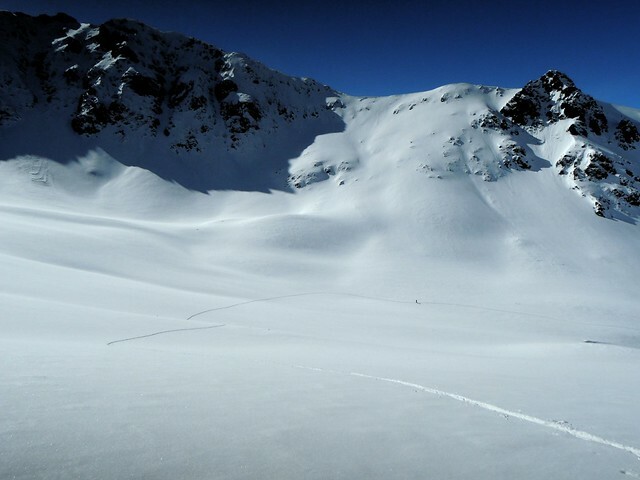 Unfortunately the last bits to the valley bottom are the steepest slopes and because of the inconsistent snow and poor coverage also the most treacherous skiing. On a long traverse trying to get through the last 150m vertical Megan and I came across a gully that unlike anywhere else seemed to be holding snow well (think wind deposits). Avalanche debris at the bottom seemed to indicate that it had slid recently. Megan started down just before the gully. 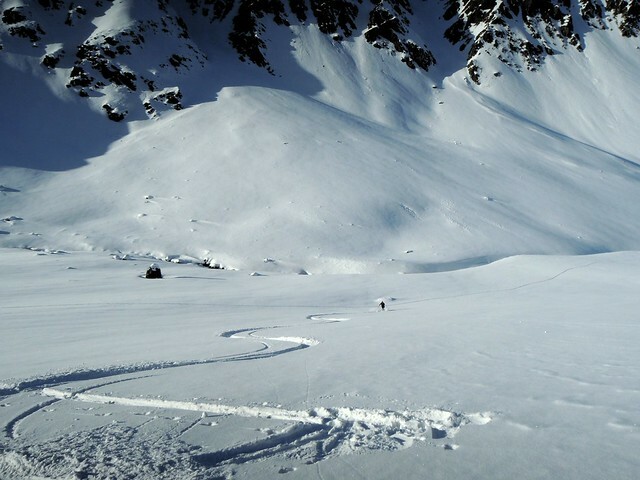 I entered the narrow (4m wide) gully and made a quick turn around a huge rock. 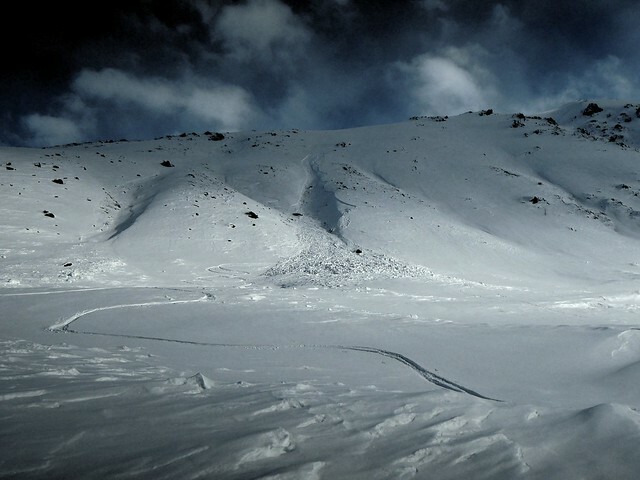 That turn triggered an avalanche which took me, seemingly slow motion, the rest of the way to the valley bottom. I felt like I was going through a rapid in a life jacket — I could see what was going to happen, but I didn’t really have any control. 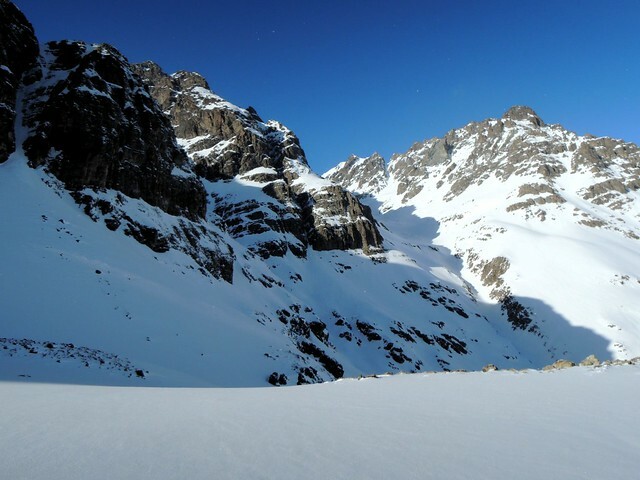 Once I was about stopped at the bottom, I looked up frightened to see lots of snow still coming down behind me. The crown of the slide was at least 50m vertical above where I entered the gully. That snow behind me thankfully came down to my left. I quickly stood up and waved to Megan who was of course terrified. 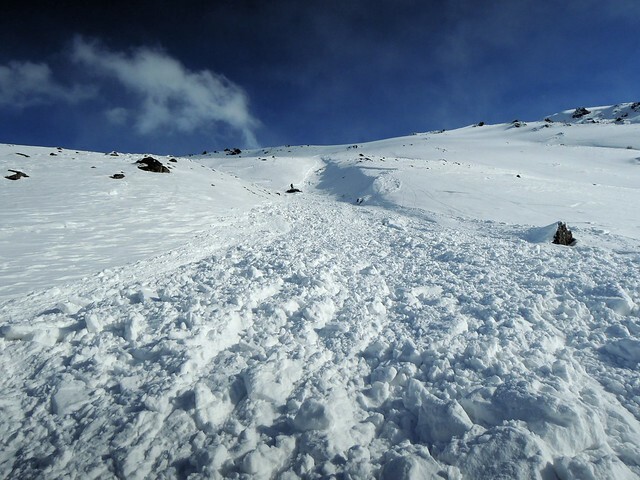 While I was trying just to stay on top of the snow, Megan was going through the avalanche rescue steps in her head. She quickly skied down to me, and the only thing to do was to laugh or cry. We did both. We hadn’t planned on leaving the following day, but with whiteout conditions in the morning we came back early to the village and learned that if we didn’t leave that afternoon we’d be stuck for a couple more days until the road could be cleared. Indeed it seemed to snow over half a meter in the ~30 minutes it took to pack our bags. 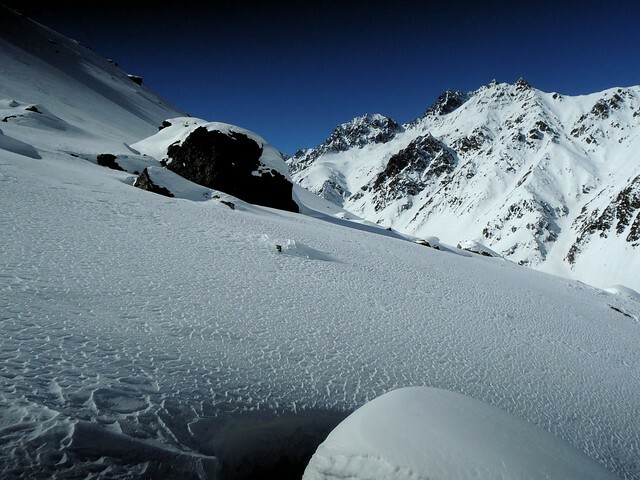 I think since our days in the Kaçkar it’s been colder and there’s been lots of snow. Could the snowpack be more stable in April than it was in February even with all the lower crappy layers from earlier in the winter? Doesn’t really matter, but maybe I’ll be back next year. 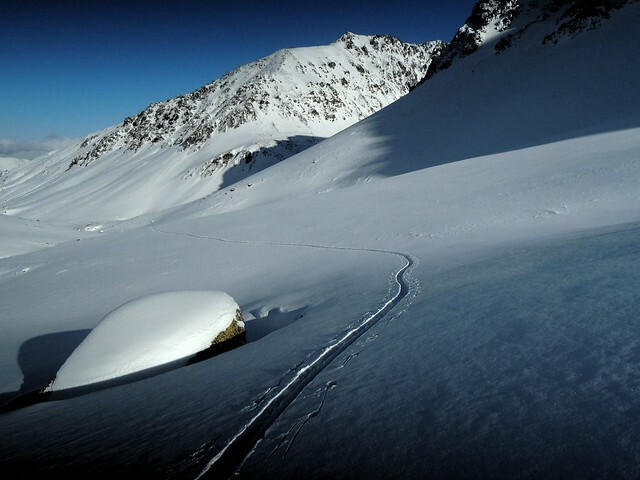 This entry was posted in Skiing, Turkey and tagged Erzurum, Olgunlar. Bookmark the permalink. Breathtaking, amazing and terrifying! You two are quite the adventurers and what spectacular memories you will have to relive and share. Your photos are fantastic as well. Do you have a “go pro” camera?. The bottom line is that we are grateful and relieved that you survived the avalanche. No, no “go pro”. Who knows, if I had had one, I might have some exciting video footage! Thinking about the avalanche is still spooky. Wow, what an experience! Certainly happy you handled the avalanche so well – what a terrific scare! Must have been great for you and Megan to share this skiing adventure I wonder what kind of skis you used. Cross country, since you had to climb as well as go downhill? 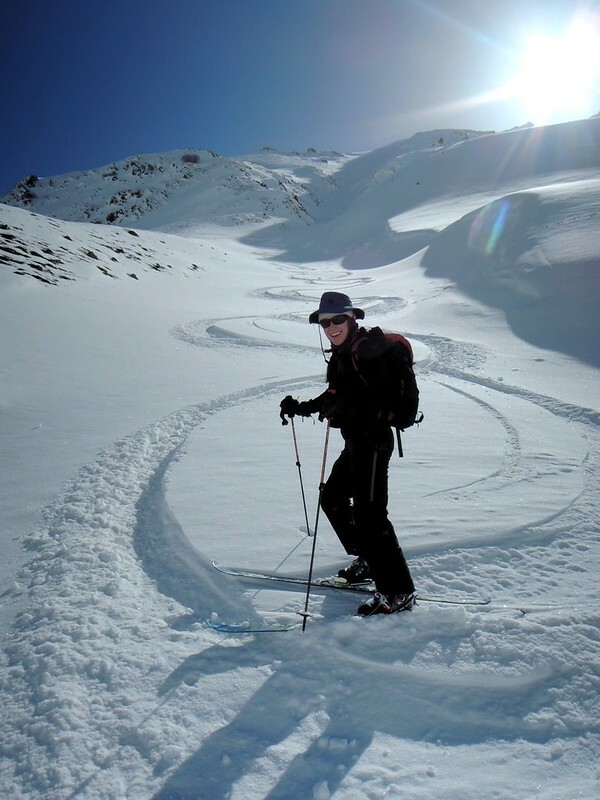 We used what in the US is called telemark equipment (originally developed in the eponymous region of Norway). 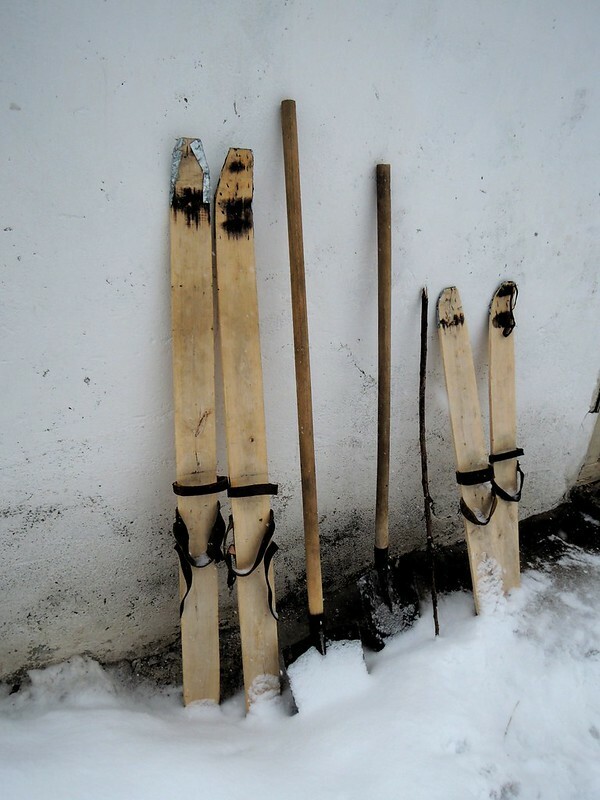 They’re metal-edged, wider skis than typical cross-country skis and don’t have scales on the bottom. We put skins (formerly animal skins, now they’re synthetic) on the bottom of skis for the uphill bits. Then we remove those skins for going downhill. I’ve been using similar equipment for 20 years, but it’s been popular in the US much before that. 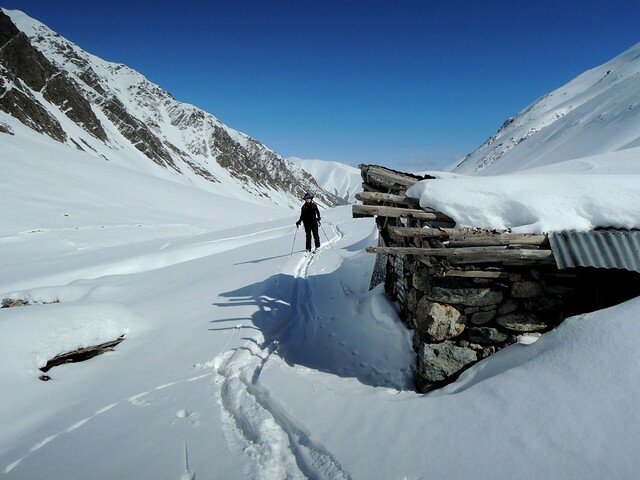 Now, however, in the US there’s been increasing preference for Alpine Touring equipment for the type of tour that Megan and I did in the Kaçkar. Hey Bryan – long time no post! Glad to know you’re still out there having fun – we’re off for another lap in July – will let you know if we’re going to be in your neighborhood.